This happens to me when looking at electronics — the technical information is overwhelming, and it gets in the way of my ability to purchase wisely. Since a smart purchase of a plasma display is a nice thought considering their cost, I am putting together a list of terms to help break down the terminology you’ll read when looking at products. A type of digital television producing a picture consisting of 480 interlaced-scanned lines. The enhanced definition is also referred to as 480i. A type of digital television producing a picture consisting of 480 progressive-scanned lines. The enhanced definition is also referred to as 480p. A type of digital television producing 720 or 1080 progressive-scanned lines, or 1080 interlaced-scanned lines. High definition (HDTV) is also referred to as 720p, 1080i, or 1080p. An aspect ratio that is a smaller scale of a movie theater screen. Widescreen is the platform for high definition, and all plasma televisions will be 16:9 or a close variation. Widescreen is also known as letterbox. 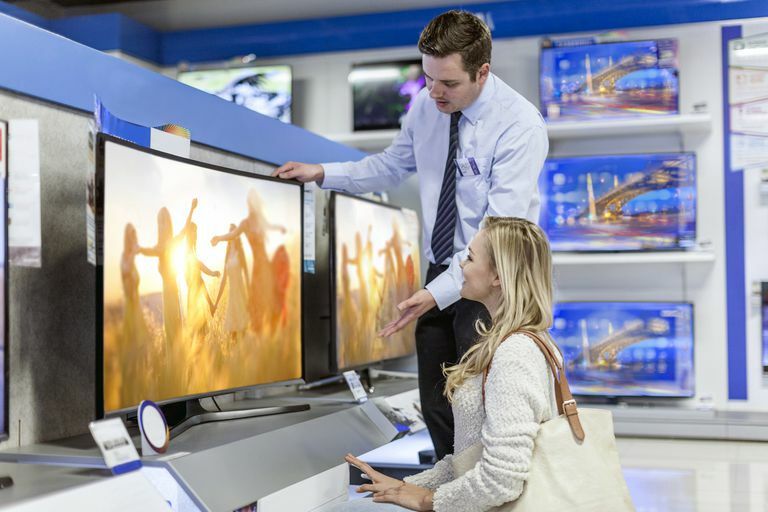 Buying Advice: Buy a television that can support at least enhanced definition because enhanced definition has the ability to play HD programming at a reduced resolution. A plasma unit that is able to show enhanced or high-definition signals with the aid of an external receiver. A type of box issued to you by either a cable or satellite company that allows you to watch digital television. Some people own an external receiver. An external receiver is also known as a set-top box. A receiver installed inside the display unit that eliminates the need for an external receiver or set-top box to receive HD programming from over-the-air stations. A television with a built-in tuner is mostly associated with high definition and has certain advantages over a television without a built-in receiver. Buying Advice: The need for a built-in tuner is debatable with cable and satellite companies providing an external receiver. The real advantage of a built-in tuner is receiving HD-signals from your local affiliates without the need of an external HD receiver. A type of television featuring a slot on the side or back that allows the user to completely eliminate the need for an external receiver to receive cable programming. Basically, you replace your cable box with a card a little bigger than a credit card. It goes into the CableCard slot and acts as your set-top box. CableCard slots had their advantages but also features several disadvantages over external receivers – one of which is the lack of on-screen menu functions. Satellite companies do not offer a type of CableCard. Buying Advice: I am not a fan of CableCards, but I can't ignore their potential. While the technology might not be good right now, it is a nice option to have on a television should it ever become good. The thickness of the television. The depth of a television does not mean the television will be that distance from the wall if wall-mounting. A diagonal measurement of the screen from one corner to another. A wall mount consists of a bracket that is attached to the wall and holds the display unit. It eliminates the need for an entertainment center or TV stand. The alternative to wall-mounting a plasma screen. The screen is attached to a stand, much like a computer monitor, and can sit on top of a table or TV stand. Buying Advice: I think screen size, depth, and mounting technique is all personal choice. However, consider room size, where the set is going, and what components are connected to the television before deciding whether to wall mount or not. How a television decodes the image on the screen. Progressive scan decodes a picture twice as fast as an interlaced scan, thus doubling the image and providing a sharper, crisper picture. Progressive scan is labeled after the lines of resolution in a television description, like 480p for enhanced definition. Same as progressive, but ½ the speed. It is noted after the lines or resolution, like 480i for standard definition. Buying Advice: Not much to say here except progressive scan should be included somewhere in the product description. If it is HD or ED compliant, then progressive scan should be understood. Video inputs used to receive HD programming or signals from a DVD player. They provide the red, blue, and green colors a unique path to the television for decoding. The picture quality is the most superior of all analog connections. A video input characterized by a yellow-tipped RCA jack that carries a video signal from source to source. A composite is video-only, so it requires a separate audio connection to hear sound. A video input that is slightly better in quality than composite. It requires a separate audio connection to hear sound. Input and outputs that will allow connection with a RCA red and white stereo cable. Stereo connections are associated with composite, DVI, and S-Video. A type of all-digital connection between your television and another source. Most people associate connection of a PC to a monitor with DVI. DVI connections are video only, and require a separate audio connection. An all-digital connection that significantly outperforms DVI in all areas. HDMI carries the audio signal, therefore only one cable is needed to receive video and audio. Buying Advice: Get as many connections on a television as possible. Front and/or side inputs are a wonderful convenience you will be thankful for having. Component and DVI and/or HDMI are pretty much must-haves. A copy protection technology associated with DVI and HDMI. It eliminates the unauthorized reproduction of programs encrypted with HDCP, and distorts the signal on televisions without it. While the fate of HDCP is uncertain at this time, it is recommended that you purchase a plasma with it in case it becomes a standard for all broadcasts. Buying Advice: I think HDCP is a dangerous technology. Anything that can prohibit your ability to record or watch a program goes beyond whatever good faith there is in watching television. But, it might become a standard in the next few years, so it is a good idea to have that option on a television just in case. A measurement between the lightest white and darkest black. This is where televisions earn their picture quality by displaying true blacks and sharper colors. In comparison, a contrast ratio of 1200:1 would be better than 200:1. Buying Advice: While you can't ignore the numbers, try to watch the television and make a decision based on what your eyes see versus solely on the specs. With a lot of added technology hidden beneath the surface, televisions are almost like cars in terms of performance. When a static image leaves a mark on the screen, like a station logo on the bottom of the screen remaining on screen when not on that channel. Burn in takes sometime to set in, but it does affect plasma displays. A type of image defect that is associated with movement. The screen appears as though a moving image is being shadowed ever-so-slightly by itself. Ghosting can also appear like burn-in, where an image remains on screen temporarily after the channel has been changed. Buying Advice: You can't ignore burn in, but it's such an extreme defect that most people will never have a problem with it. As for ghosting, the screen should refresh itself over time (within minutes) if ever leaving a mark on the screen. A rating of electrical consumption so you will know which set is efficient and which is an energy hound. Buying Advice: Pay attention to Energy Star ratings because electricity is part of the long-term cost of owning a television. While the electricity used by a TV might not send you to the poor house, a wise purchase could save you enough money to go out on the town for a night. HDMI vs. HDCP vs. DVI: What's the Difference Between HDTVs These Days? Will Your LCD Flat Screen TV Work With an Old VCR?